We visted with the Falconry Club this week. 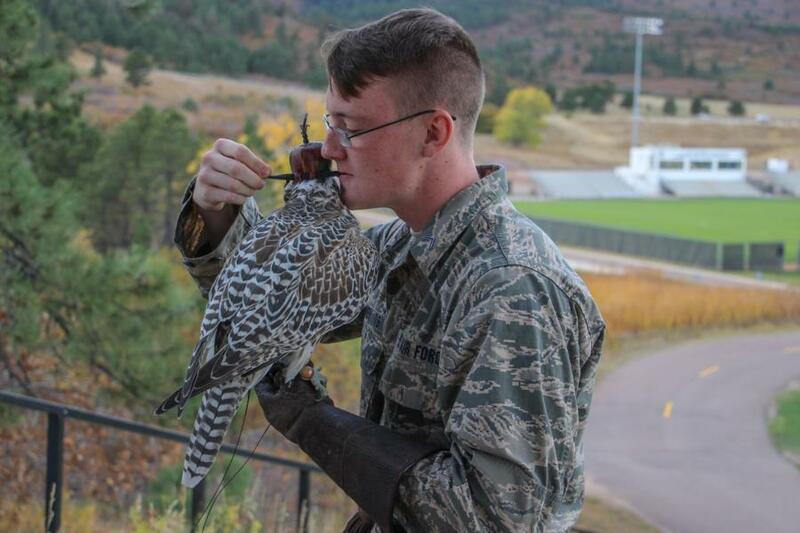 The Falconry Club has 10 Falcons currently. They have 4 flyers, 4 presentation falcons and 2 breeders. Some of the Breeds that they work with are the Gryfalcon, Prairie Falcon, Peregrine Falcon and 4 Hybrids of the several breed types names. I've discovered, which is probably already well known. 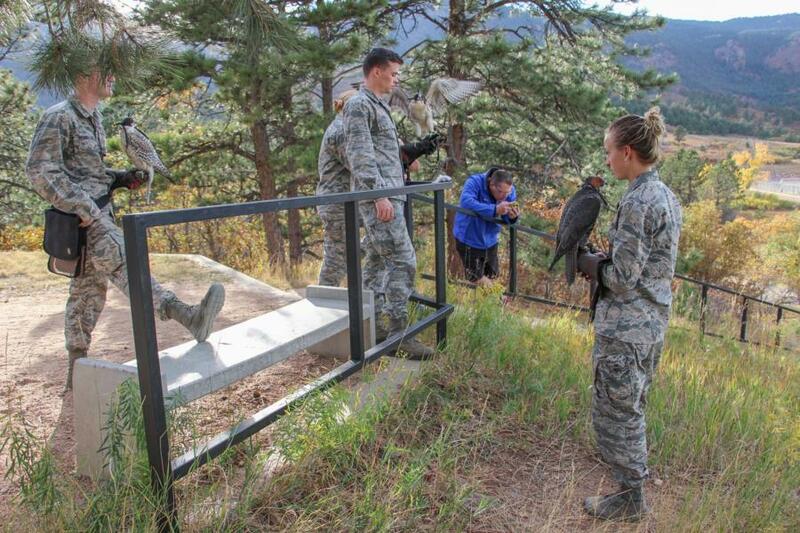 But - The Female Falcons are larger in size than the Male Falcons. Depending on what they're doing with the Falcons, some of them wear bells around their feet when they have them out flying so that if they aren't able to see them they can still hear them. 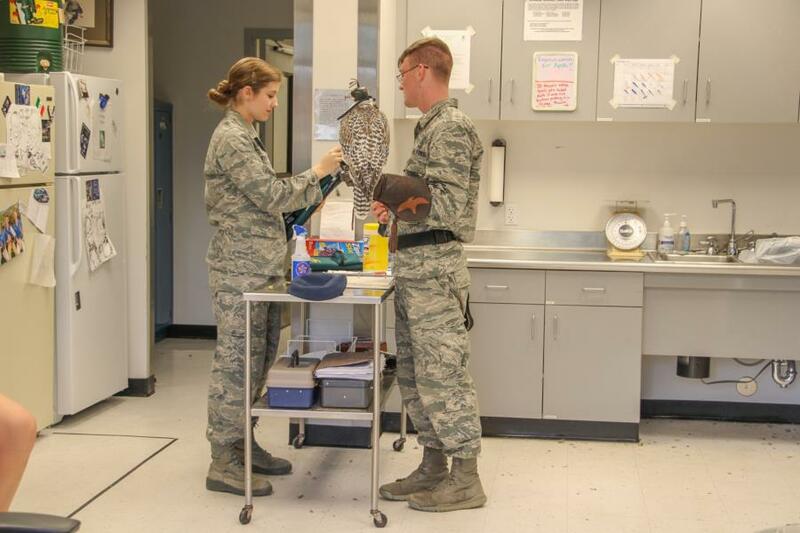 They also have little radio wired helmets for the birds so that if they travel too far away from where the trainers/cadets are - they are able to transmit a signal to the bird that will direct them back in the direction of the trainers/cadets. Towards the end of each Academic Year the current 4th Degrees (Freshmen class) gets to start working with the birds more and the 1st Degrees (Senior Class) fades out and works with the birds less and less. 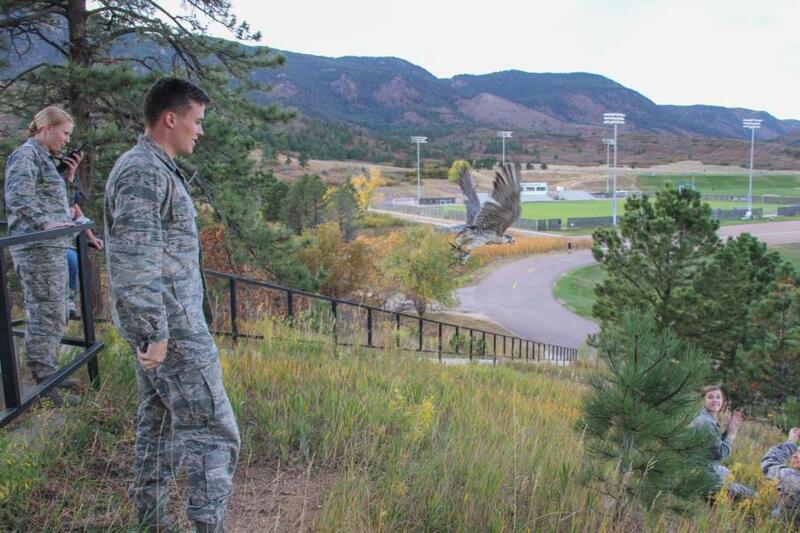 We were able to watch 3 Cadets training with some of the Flyers. 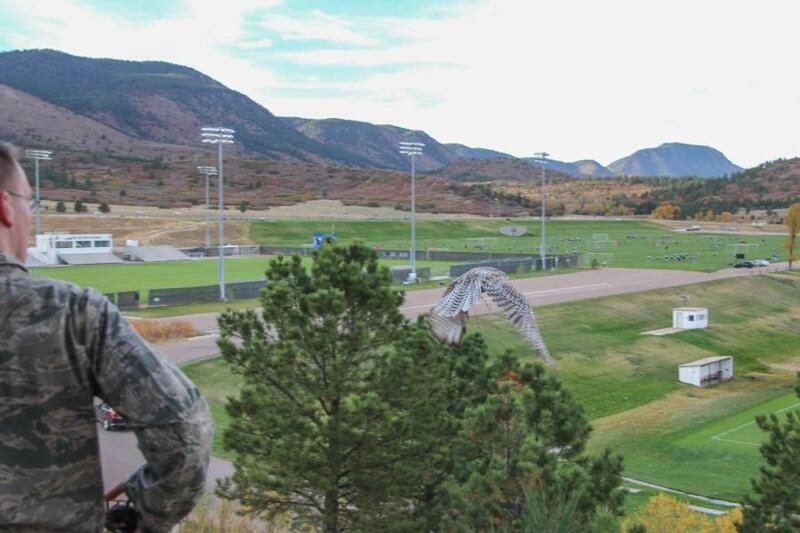 They released them at the top of the hill and the Falcons flew down to another Cadet on one of the Athletic Soccer Fields. 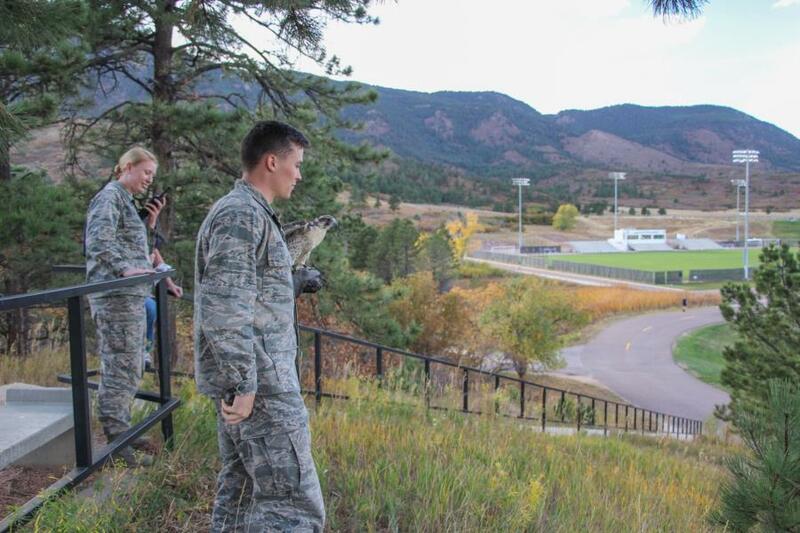 To view the rest of the pictures from this visit go to Galleries - Extracurrciular - Cadet Clubs. Or click the link below.